Each and every one of us is an individual, unique in our own special way. At Stockdales we embrace that difference whilst understanding that some people need a little more help than others. Things that many of us do without thinking can be more challenging if you have a learning disability. But with a little help and support, great things can happen. 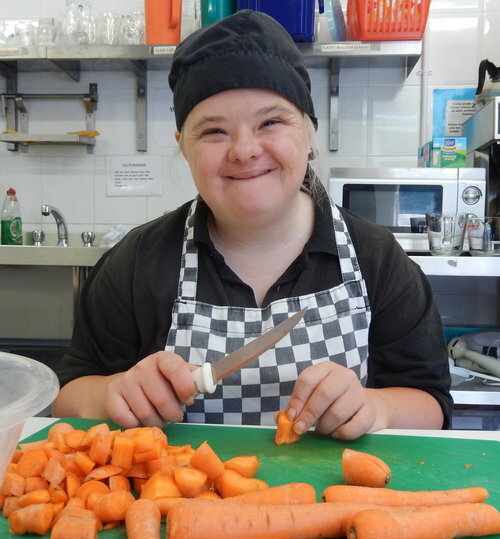 Scarlett takes part in many of our Lifeskills activities. She loves music and often takes the mic in the karaoke sessions blasting out her favourite songs or joining in on the drums or tambourine. She often takes the starring role in the performances put on for friends and family through our dance and drama groups. And she frequently steals the show! But it’s at the Café run by Stockdales at the Avenue Church where Scarlett really comes into her own. She has been a part of this project for over 5 years or so and is a key member of the team. 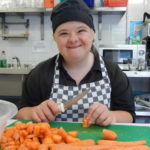 Each week she eagerly gets stuck into preparing the ingredients for the soup of the day, prepares the salads and helps lay the tables. Scarlett’s mum says she takes her role very seriously as she loves being part of something worthwhile. The café isn’t an easy option either. It’s hard work but Scarlett has risen to the challenge and gets a lot out of it. And she’s a big hit with the customers too! 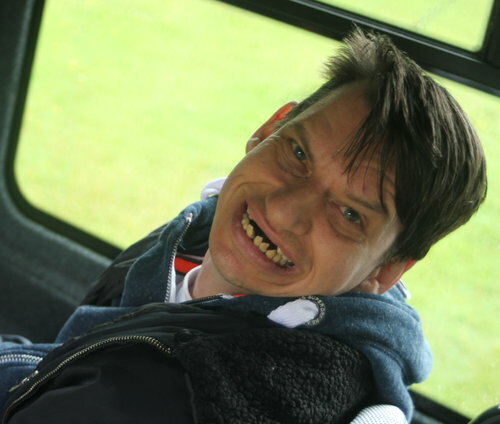 Van is one of the many big characters at Stockdales and has so many things he enjoys. 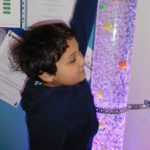 His smile is infectious and there is no stopping him from getting involved with everything we offer! He has a real affinity with animals and his favourite are horses! So much, that Van invited friends to a special birthday pony party hosted by Merrylegs Ponies and was in his element. They spent time with the horses and ponies, went on a hack down the local lanes before returning to the stables to groom the horses and pet the rabbits. Van’s other love is football and as a member of Man U fan club Van is able to go along to home matches on a regular basis and even managed to meet his sporting hero’s including Ryan Giggs at a special MUDSA reception for supporters. 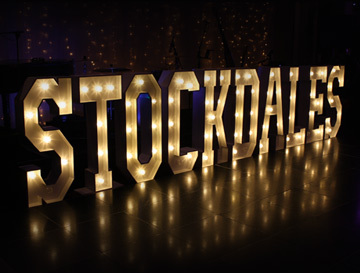 Van, like so many of Stockdales residents loves a good party, especially if it’s a Christmas party! He loves everything about Christmas and gets so excited about all the events and activities surrounding his favourite season. You can be sure he will be there at the Christmas fair getting into the spirit in a Christmas jumper. Or dressed up to the nines in his tux for the Christmas party and dancing the night away with his mates. Brian is now a bubbly little eight-year-old little boy. But when he first joined us in 2017 things were very different. He was extremely shy, unsure of anything new and had little verbal communication. Instead he chose body language to communicate. He also had behaviours that were often difficult to manage. But with time and patience these are seen less and less, to the point where they are rare now. In the beginning Brian was supported through our Home Care Support service with carers taking him out at evenings and weekends. 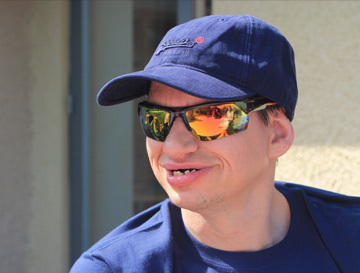 We spent time trying to understand what was right for Brian and how we could help him. Working with his school and social workers we realised he was a bright little boy who might benefit from attending our Stockies Juniors Saturday club. At first he mainly sat and played with his cars on his own. But over time he started to join in with the activities offered and make friendships with other the children. The next step for Brian was to come along to Stockdales in the afternoons. 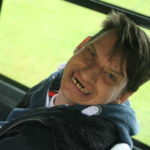 The school bus dropped him off after school where he was met by his carer. We made sure the play room was a safe and familiar place for Brian full of his favourite toys and games. He soon relaxed in our care and settled into his new routine. His favourite pastime is to play with the chalk on the floor. Brian can now sing nursery rhymes whilst chalking, especially if the rhymes involve counting. Working with Brian’s parents and the school we have been able to provide a stable environment for Brian where he can flourish. It is a delight to see just how far he has come. But it doesn’t stop there. 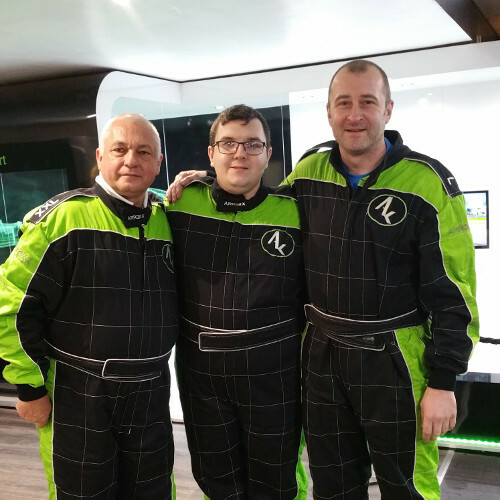 In 2019 we hope to support Brian to broaden his horizons even further so he can become more confident when out and about in the community. The future is looking bright for this little boy! School mornings are always busy as any mum with young children will tell you. And for mum of three, Liz, they were proving to be challenging. 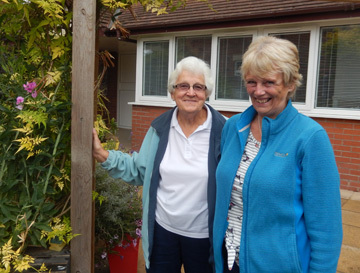 So, our Home Care Support proved to be the ideal solution. We were more than happy step in and help with 15 year old Isabella’s morning routines, meaning mum had the time and energy to get her two younger children ready for school. We took time to get to know Isabella and her family, introducing her to a team of carefully selected support workers that would be helping her each morning. Our Support workers love working with Isabella who is a bright and happy teenager. She is a very sociable girl who loves to tell you what she has been up to. 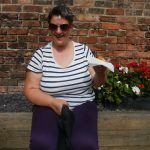 She loves music, cycling and soft play as well as gardening. Our staff love their chats with her when they happily talk about what’s going on in the garden, the flowers they have seen and Isabella’s other hobbies. As we got to know Isabella and her family, her mum asked if we could provide additional support during the school holidays and for family days out. We jumped at the chance and have joined family days at Chester Zoo, Knowsley Safari Park amongst others. It was great to see the whole family relaxing and enjoying their time together. Days out proved such a success the idea of a family holiday was discussed. And after a great deal of planning and preparation the family, along with team member Shannen, were all set to take off on a holiday to the Czech Republic. They had a wonderful family holiday doing things that simply wouldn’t have been possible before. Since returning we have supported Isabella to have even more exciting experiences from school discos to an outdoor activity break where she revelled in playing basketball and even tried abseiling! We are really happy that we can help Isabella have more independence and experience things every teenager enjoys. We are also happy to be able to make life a little easier for this lovely family and look forward to creating even more happy memories in the future. 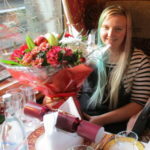 Stacey, her Mum and sister dreamed of a golden age of train travel. So when they applied for a Stockdales Dream Day we thought a trip on the beautiful Northern Belle would fit the bill perfectly. In December 2018, the trio set of on a wonderful journey on this beautiful vintage train. With impeccable service as standard, a delicious seven course dinner and musicians and magicians to entertain and enthral, they relaxed and took in the stunning views of the amazing English countryside. We loved putting this Dream Day together for Stacey and her family. We hope they had a wonderful day together and made some special memories that they can look back on for many years to come. 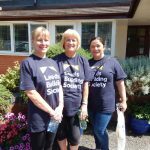 Lloyds Banking Group have “Give and Gain Days” that encourage their team to take a day out of the office to work to support a charity of their choice. Employees still receive pay and have a day out to do something a little bit different. Charities get help with projects and Lloyds benefit from team building and fulfil their corporate social responsibilities. It’s a win-win for everyone involved! 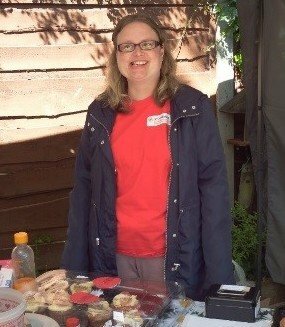 Sale resident and Lloyds Bank employee, Joanne Brown, wanted to support a local charity and nominated Stockdales. 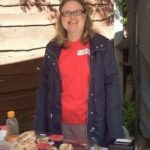 We were delighted to be chosen and since have worked with Joanne and her colleagues to make a difference. They have helped us with volunteering and fundraising, with Lloyds Foundation match funding amounts raised. The Lloyds team really thought out of the box and hosted a day trip to an employee’s farm for 20 or so of our service users to enjoy. The lucky group headed off into the beautiful Derbyshire countryside for a day to remember. There was a scavenger hunt, a lovely walk round the farm taking in all the wonderful views, animals to meet and feed, photo opportunities with a beautiful vintage car and a picnic in the sunshine. The group also volunteered at our end of summer party organising lots of exciting activities for everyone to get involved with. The team have also got involved with our Christmas campaigns over the last couple of years, selling Christmas Draw Tickets, knitted snowmen and Christmas cards. Having them on board has really bumped up our sales and made a real difference to our festive totals. With other events in the pipeline we hope to continue our relationship with this great bunch of people so we can all reap the rewards. Harry had been a full time Carer for his mum for many years. When she sadly passed away, he wanted something to fill his time. So, Harry applied to volunteer for Stockdales, as he was keen to help out. Harry now joins us several times a week. 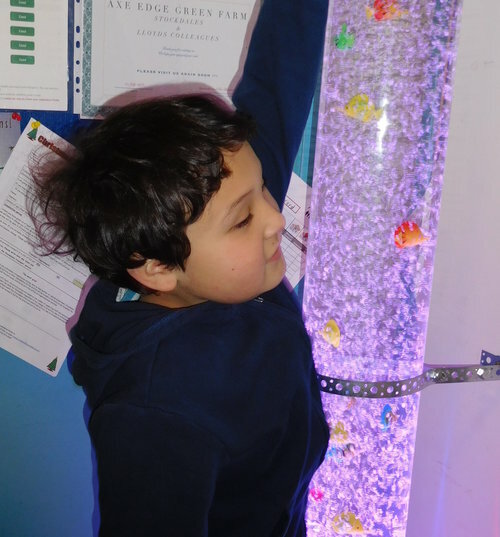 By supporting staff and the session teachers, he helps the service users get the most out of their activities. 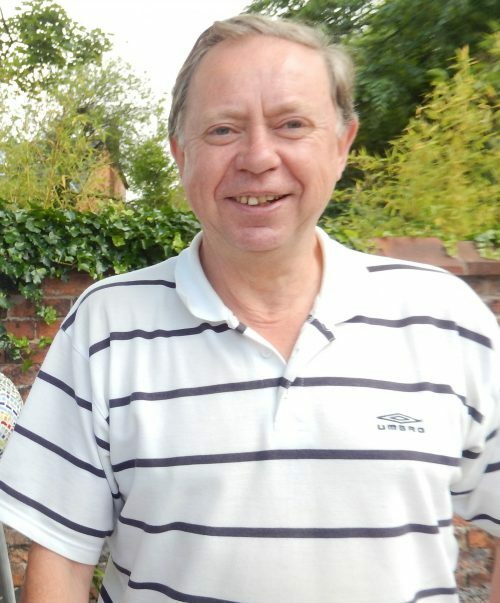 Harry volunteers in Media studies and Jump Space, which he finds interesting and fun. He also joins in the lively Thursday morning music session, where he encourages people to get noisy with instruments or sing along to the karaoke. Harry loves coming to Stockdales. He’s taken the time to get to know people well. 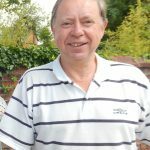 Not only is he helping local people with learning disabilities, which is close to his heart, but he enjoys the social side of volunteering. He’s getting out and about in the community, which has done wonders for him too. It’s a win-win! Martin Bartlett and his team at the Sale office of the Leeds Building Society wanted to support a local charity and engage with the local community. 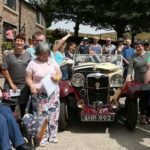 They chose to support Stockdales and raised a staggering £800 in their first year of fundraising. The team have come up with some unusual fundraising ideas which are great fun for their customers to take part in and raise cash for us at the same time. One idea was the balloon pop raffle. They have also run a Christmas hamper raffle for us and are regulars at our charity quiz night. The team have also helped out by volunteering and doing some painting for us. This not only is fantastic for us, but also helps the company to fulfil its social corporate responsibility! And the team get a real buzz knowing they are making a real difference to the lives of local people with learning disabilities. Lizzie has been coming to Stockdales for many years. It’s been a pleasure to watch her grow during this time. Her confidence and conversation have come on in leaps and bounds as proud Dad Joe told us. “Elisabeth when she wakes up each day is so excited. She can’t wait to get there as quickly as possible, so full of conversation in the car discussing the day ahead. It is a joy to watch her.” Lizzie loves cookery and music. Whether she’s cooking up a storm in the kitchen or singing along in music, one things for sure – Lizzie makes the most of everything we have to offer! She is a regular at our social clubs and takes part in our weekend activities too. 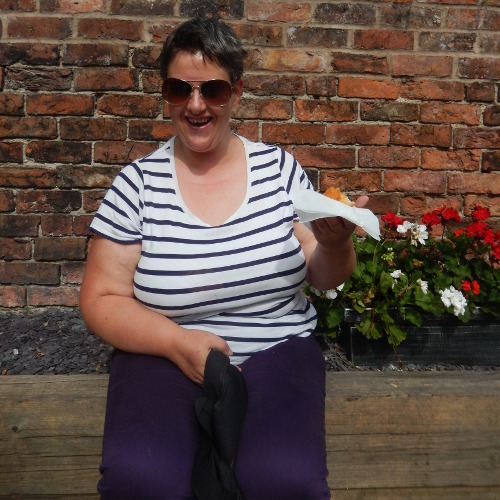 Lizzie enjoys trips to the theatre or a meal out with friends, as these give her some valuable independence. You can safely say that Lizzie lives life to the full! We are so pleased that we can help her on her journey!